As an athlete, even a casual one, you likely pay more attention to your body than the average person. You understand the importance of good nutrition, stretching, health, and wellness. You know the steps you can take to better prevent injuries like sufficient hydration and keeping your body in proper alignment. But even the most attentive athlete can sustain an injury. Receiving quality, all-natural, holistic sports injury treatment is easy at Lifetime Health and Wellness. Our chiropractors take a common sense approach to sports injury treatment and utilize a variety of treatment options to help you get back in the game. When participating in sports, It can only take an instant to get a pinched nerve in your neck or back. Symptoms of sciatica can sideline a baseball player or a swimmer from competition. These are all common injuries that our team of chiropractors at Lifetime Health and Wellness can help resolve without the use of drugs or invasive surgery. 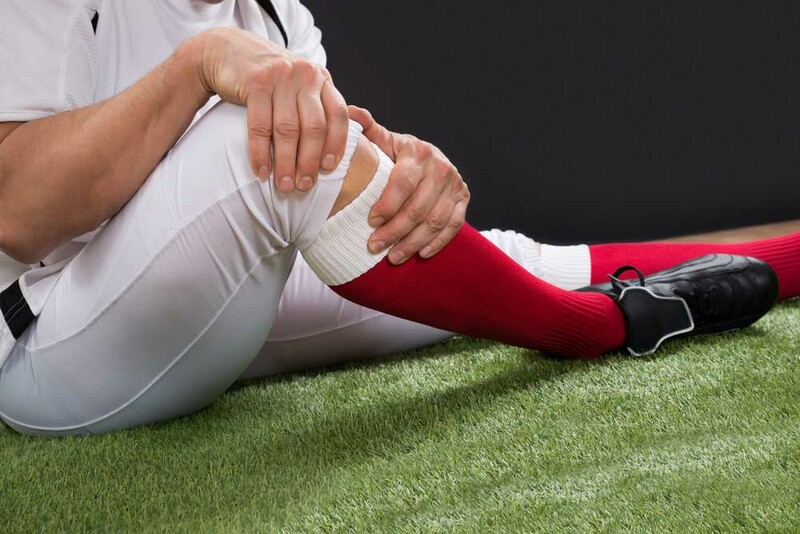 Dr. Randy Snyder, Dr. Courtney Gilmer, Dr. Peter Eisenhauer, and Dr. Colleen Knasky are all highly educated and trained in the natural treatment of these, and other, sports related injuries. Pull or strain a muscle? Feeling a stiffness or lack of range of motion? We are here to help. Far too often traditional medicine treats the symptoms of an injury. They regularly prescribe drugs to help relieve pain. But pain is a symptom that shouldn't be simply ignored or treated with medication. At Lifetime Health and Wellness, you'll find a chiropractor to address your injury with a common sense approach to treat injuries at their core. At Lifetime Health and Wellness, chiropractic adjustments are the heart of our sports injury treatment programs. These adjustments realign the complex neuromuscular system after they are subject to the trauma of a sports-related injury. These adjustments come in the form of a variety of proven techniques like the Graston Technique, invented by an athlete to assist with neck pain, pain between the shoulder blades, lower back pain, hamstring pain, hip pain, quadricep tightness and pain along with knee pain, ankle pain, rotator cuff pain, tennis and golfer's elbow and more. Our Rapid Release Therapy helps heal damaged muscles from deep within the soft tissue to help restore range of motion and improve healing. Our Concussion Treatment offers a natural alternative to medical treatment and seeks to restore neck, brain and nervous system connections to help recover from concussions that can occur in many sports. When your visit our chiropractors at Lifetime Health and Wellness, they thoroughly diagnose your sports related injury through a consultation and physical exam. Further diagnostic testing may be required in some cases. After determining the core cause of your injury, you will be prescribed a treatment program specifically for you. It may involve one or more of our all natural treatment therapies including adjustments, acupuncture, acupressure, and massage therapy. Our goal is long-term, lasting relief. Discover the benefits of chiropractic care at Lifetime Health and Wellness by making an appointment today by calling 303.423.4610. We can help you better prevent potential injuries and naturally help you recover when they do occur. Wellness awaits you at Lifetime Health and Wellness!